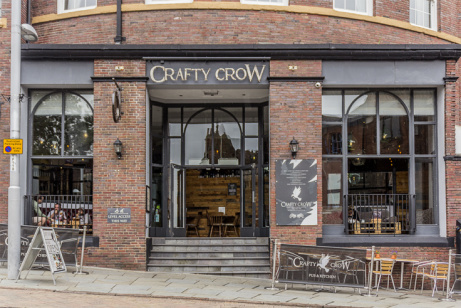 The Crafty Crow hasn't added an introduction yet. Food served until 9pm daily! It's our Beer of the Week and we've gone for Alphabet Brewing Company's Hoi Polloi. It's Mad Hatter Brewery Tap Takeover weekend! And all the beers are ready to go! Happy Beer Day!! We have plenty of the stuff here, and the sun is even out! Delicious Grilled Chicken burger topped with Onions Rings - Yum, we know. New in from Ten by brewing co Son of a beach is a hit with this weather.